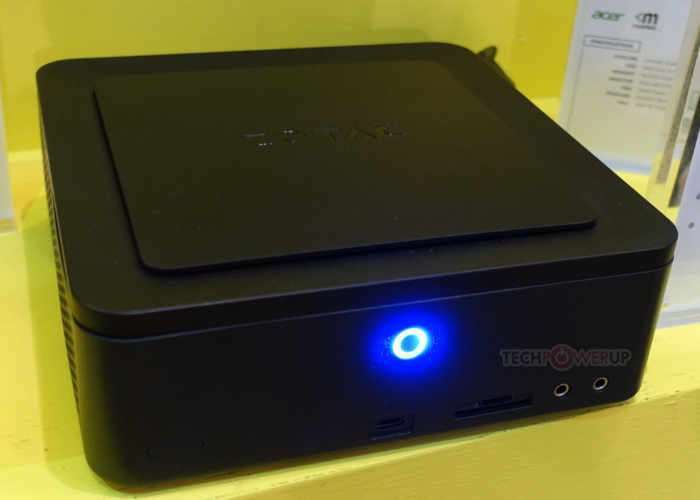 Continuing their show with new hardware at this year’s Computex 2017 electronic show, Zotac has revealed the new ZBOX MA551 compact desktop mini PC system they ave created. Fitted with an AMD socket AM4 motherboard the latest mini PC from Zotac is being showcased with an AMD 7th generation A-series “Bristol Ridge” APU. Although the motherboard is ready to support the Ryzen “Raven Ridge” APUs up to 65W TDP. Which can be combined with a “Zen” CCX (quad-core complex) with a “Vega” based integrated GPU. The board also features a 2.5-inch drive bay with SATA back-plane, a 32 Gb/s M.2-2280 slot, an M.2-2240, an additional mPCIe slot (probably for the WLAN card). Two DDR4 SO-DIMM slots hold on to up to 32 GB of dual-channel memory. Other connectivity includes six USB 3.0 ports (including a type-C), an SD/micro-SD card reader, gigabit Ethernet, 802.11ac + Bluetooth 4.2 WLAN, and display outputs that include HDMI 2.0 and DisplayPort 1.2 outputs.